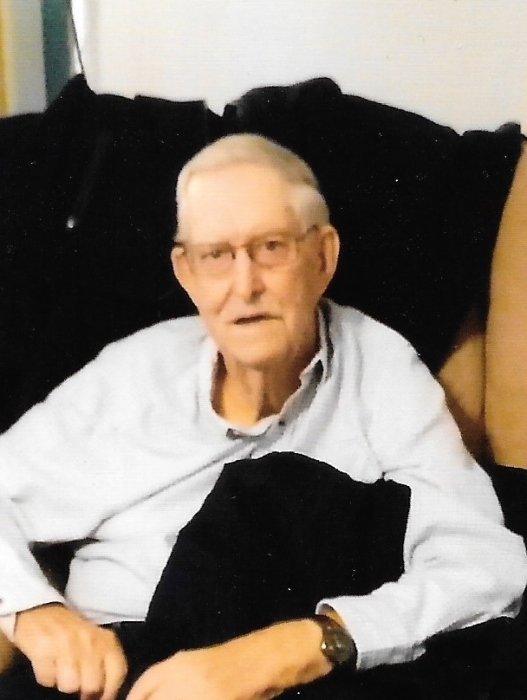 James "Frank" Minton, age 89 was born in Rose Hill, VA on Tuesday, May 14, 1929 and had lived in Lee County, VA all of his life until recently when he moved to Lenior City, TN. And passed away November 8, 2018 in Lenoir City, TN. He farmed for about 42-45 years, he raised tobacco, corn, hogs and cattle. In 1970 he went to work at Bartley Meat Packing Co., cutting meat and delivering. He later went to work for Piggly Wiggly for some 24 plus years as produce manager, to assistant manager with Kyle Marshall then retiring in the mid 90’s. He was known by many for his kindness and his smile. He is preceded in death by his parents Thurman and May Minton, his daughter-in-law Sherry Renee Minton, three sisters Bernice Martin of Rose Hill, VA, Reba Allen of Pennington Gap, VA and Frances Young of Pennington Gap, VA, two brothers Curtis Minton and wife, Flora of Rose Hill, VA, Keith Minton and wife, Liddie Bell of Pennington Gap, VA, and several nieces and nephews. Frank is survived by his wife Judy Minton of 48 years, one son James "Jim" Frank Minton, Jr. of Maryville, TN, two grandchildren Alex Minton, Emily Beth McKelvie and husband, Danny, two great-grandchildren Daniel Lucas and Emelia (Mia) McKelvie of Lenoir City, TN. He is also survived by a host of nieces Martha Wilburn, Janet Mullins, May Lee, Alice Daugherty, Katherine Smith, Ann Middleton, Jearldine Clouse and Dorothy Duff, nephews Bobby Young, George Martin, Charles Minton, Kyle Minton, James Minton and their families. Special family Ronnie and Shannon Cosby and family, Heather, Stephanie, Jeremy and Debbie Cosby, Sheila and Mike Flick, Gary Cosby and family. Special thanks to Ken Runyon of Long Hollow Christian Church and our church family and community, Province Funeral Home and John Britton. Visitation will from 5:00 to 8:00 PM Sunday, November 11, 2018 at the Province Funeral Home in Pennington Gap, VA. A funeral service will be at 8:00 PM Sunday with Pastor Ken Runyon officiating. Graveside services will be held at 11:00 AM Monday at Lee Memorial Gardens in Woodway, VA. Family and friends are asked to meet at the funeral home at 10:30 AM to go to the cemetery. Province Funeral Home of 42098 E. Morgan Ave. Pennington Gap, VA 24277 in charge of the arrangements. Phone 276-546-2456 Province Funeral Homes are honored to be serving the family of James "Frank" Minton.